It was clear from the first whistle that the No. 3 Cal men’s water polo team (21-4) was going to be victorious. When they dominated No. 17 Pomona-Pitzer on Thursday evening, the Bears proved that they, and not their opponents, deserve to play UCLA in the semi-final round of the NCAA Championship tournament. 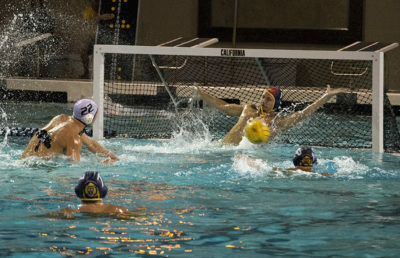 Cal won the sprint in the first quarter — a feat they would replicate in the following three — and junior Nicholas Carniglia made a goal just 20 seconds in, far before the Sagehens could establish a sound defense that had any hope of preventing a goal. A strong defensive effort by the Bears against the Pomona-Pitzer counterattack ensured they would once again be in scoring position. With 6:37 left in the period, sophomore and leading scorer Johnny Hooper made his first of four goals — his next would come just two minutes later. 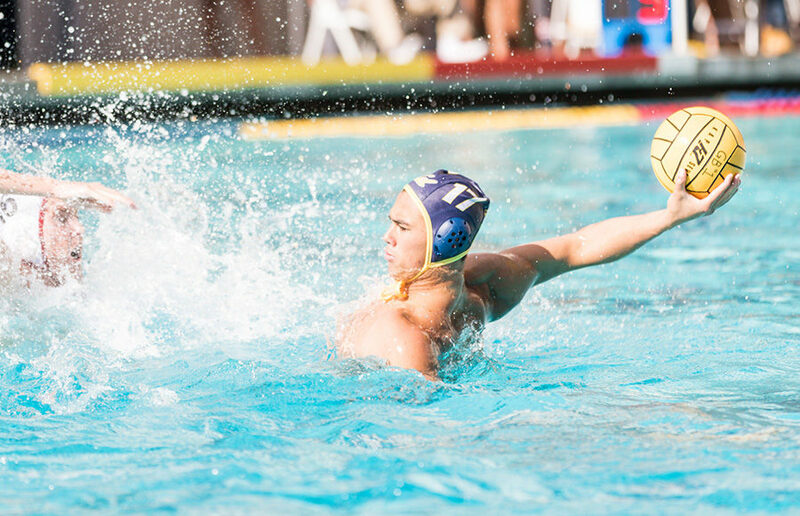 Additional scores by freshman Safak Simsek and junior Pedro Stellet gave Cal a 5-0 lead at the end of the quarter. Though Cal was unable to shut out the Sagehens in the next period, they only allowed one goal by Pomona-Pitzer senior James Baker. For the Bears, sophomore Odysseas Masmanidis and Hooper scored once each, and Carniglia scored his second and third goals of the game, sending Cal into half-time up 9-1. After returning to the pool, the Bears fomented their already substantial lead, refusing the Sagehens the satisfaction of their side of the scoreboard move. Two back-to-back goals by Masmanidis were followed by a score from Hooper. Shortly after, Simsek added a point for Cal, and redshirt freshman Jordan Hoover landed two of his own to give the Bears a considerable margin of 15-1. At the start of the final period, Cal was unable to repeat the quick early scores it had achieved after the first three sprints. In fact, the Bears could not stop Pomona-Pitzer from scoring five times in a row. Despite its dwindling lead, Cal ended on a strong note with a goal by Stellet. The Bears’ defense was unwavering for much of the game, and multiple times the Sagehens were unable to shoot on the cage before the shot clock ran out. 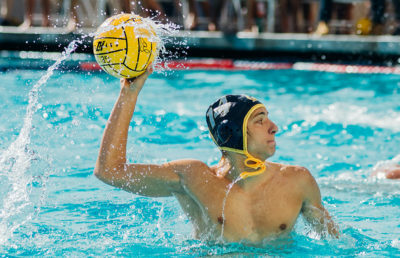 Senior goalie Lazar Andric made seven saves and freshman Bernardo Carelli made five of his own after he came in during the third quarter. Senior Farrell South made two vital field blocks on shots in the third quarter when he came in after sitting out because of two fouls.